The auction was brought forward after our pre-auction offer was accepted and fortunately no one else bid - it was the weekend before Christmas and we had a new project on our hands. The benefit to this house, and what really attracted Caleb, was that it also had an attached 2 bedroom unit which was in good condition and ready for us to move into. This provided a unique opportunity to live onsite without being in the thick of the mess that is renovating. With Caleb’s sister and soon to be husband due to move into the unit in 3 months, we had a deadline for the renovation of the main house. It didn't take long to full the skip bin, including rubbish from the tenants, and we quickly realised the full extent of the beauty within the home we had purchased. From the wooden panelling in the kitchen, the dark wooden trims, detail in the doors, the ceiling mouldings in the lounge, stained glass windows and bay windows. 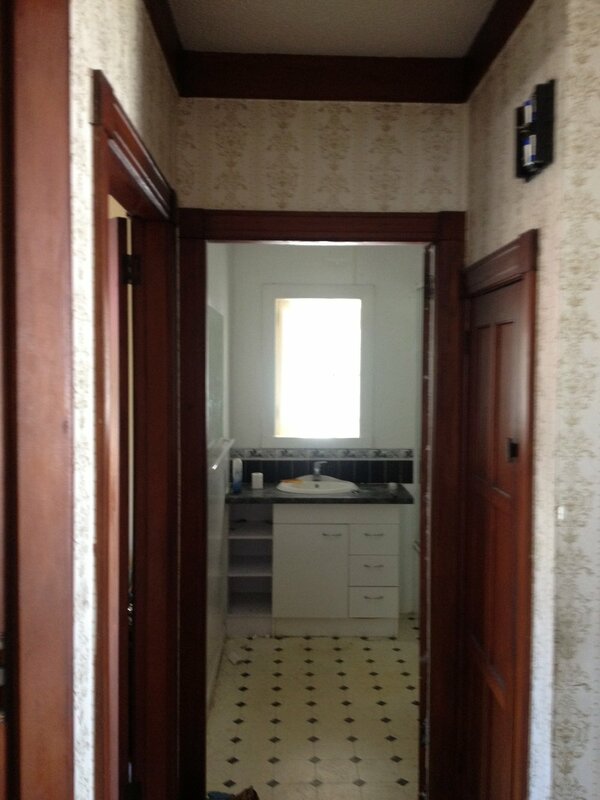 This house had more than great bones - the original bungalow was beautiful and full of character. 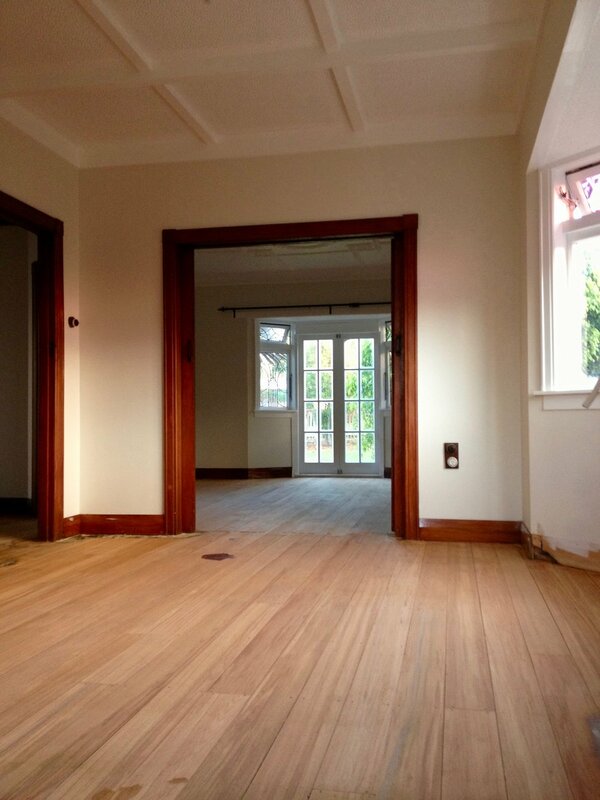 This house needed to be renovated and restored - and that is exactly what we did. 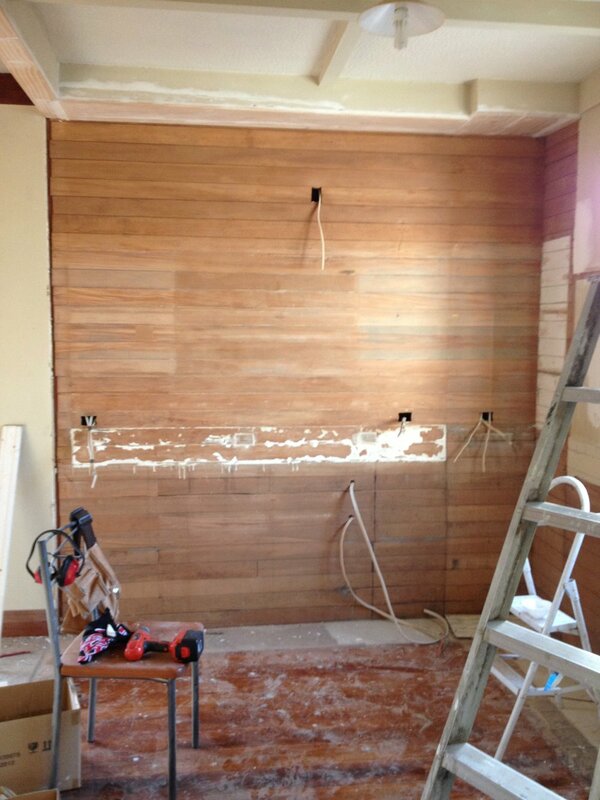 A non-structural wall between the kitchen and dining was the first to go, making room for a new kitchen and open plan dining area with window seat. We upgraded the bathroom along with finding some stunning wallpaper to feature in the bathroom and bedrooms. 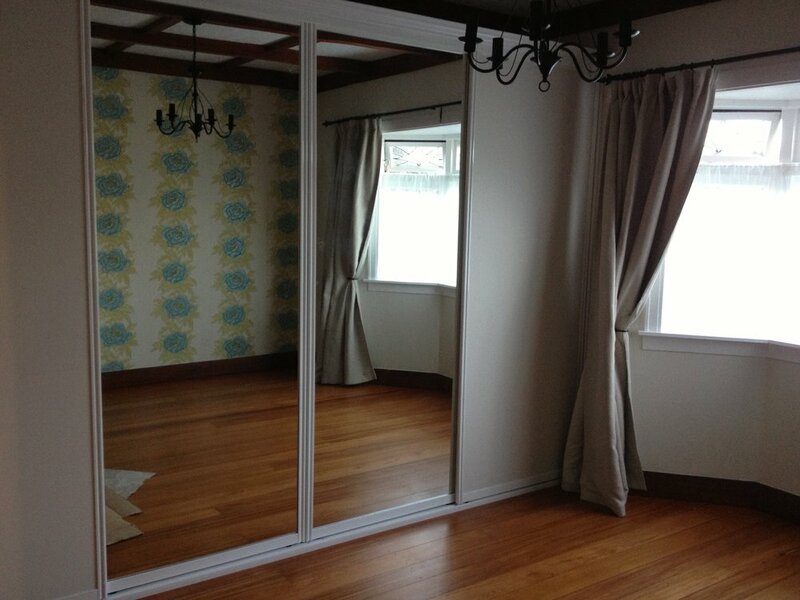 We painted the walls and ceilings, new light fittings (as well as relocating some old ones), drapes and sheers as well as sand and polish the wooden floors. This house was full of character and we can't take any of the design credit for what was design and built 80 years ago. What we did learn was how to work with the features a house has and on this bungalow - there were many. Whether it be the obvious or the subtle, working with the positive aspects of a house is always a rewarding challenge. 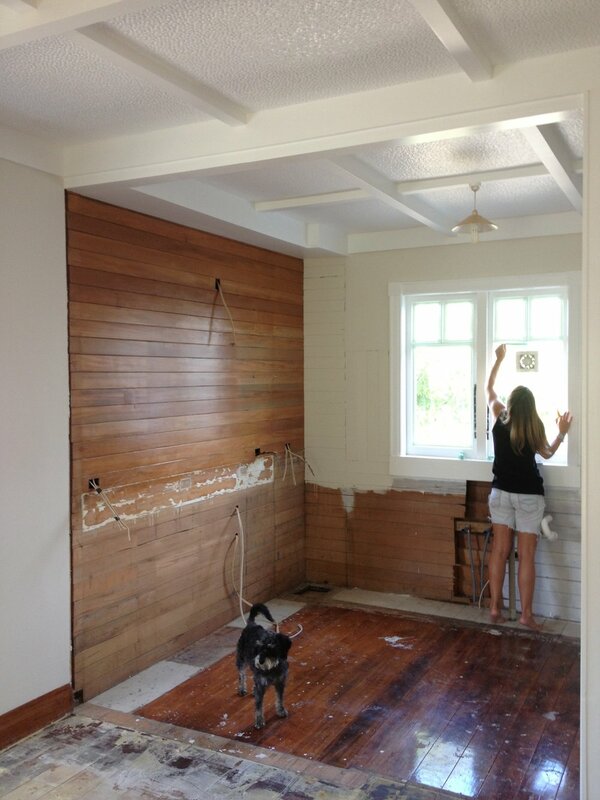 Our key learning from this renovation was how to source products and bring a more dynamic design into our renovation. Previously, I would go to a store and see what was available in my price range and base my design around that. 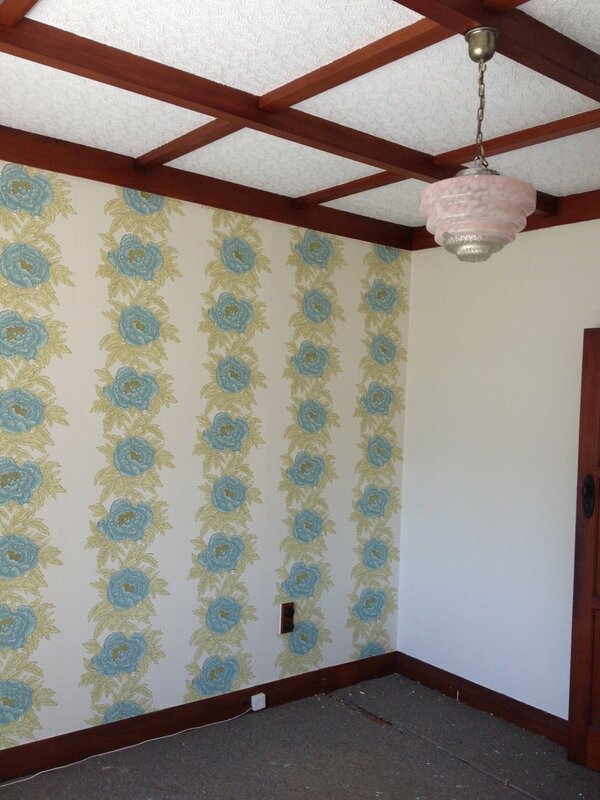 With this renovation I would design the room and then source items that helped create that overall look. It required a lot more research to find exactly what I was after but I resulted in purchasing quality on-trend products and that complimented and showcased the original design of our house. The chandelier in the lounge is a great example of this. I wanted a large black chandelier made out of metal, not glass. I was after a pendant that was glamorous but, of course, worked with my budget. I went to all the chain lighting stores and nothing came close to what I wanted. 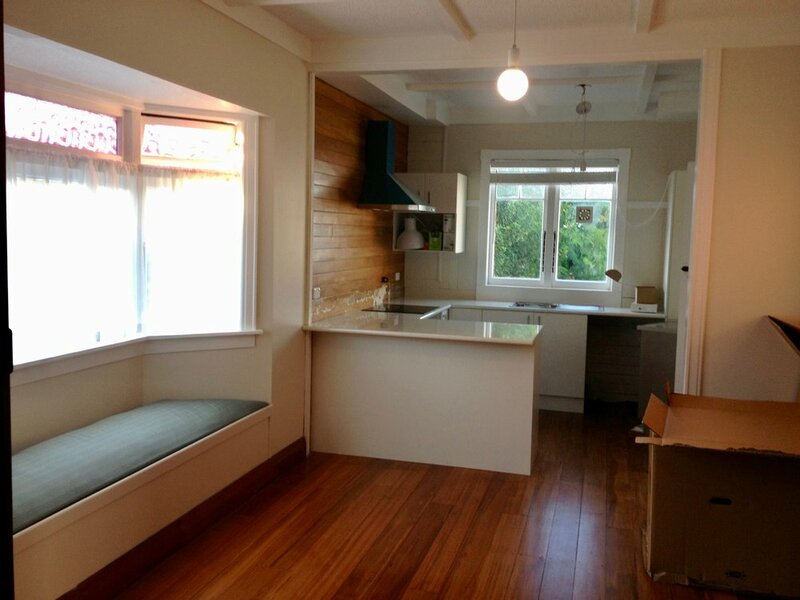 After scrolling through Trademe I found a pendant sold by Eden Lighting NZ, it was beyond perfect. The chandelier was black metal with bead detailing. When we added it to the space - it looked like the pendant was made for the ceiling. Not only that - it was 50% off and the last one in the country, it is still be of my favourite renovation purchases to this day. What I used to deem as "shopping" now I refer to as "sourcing" - because I am looking for specific products that fit my predetermined design and budget. Sourcing is different than shopping, it's a strategic way of spending money within your house that intentionally achieves your design goals and meets your budget. If you are going to add anything new into your renovation - make sure you are getting the best price and that it serves style as well as function.